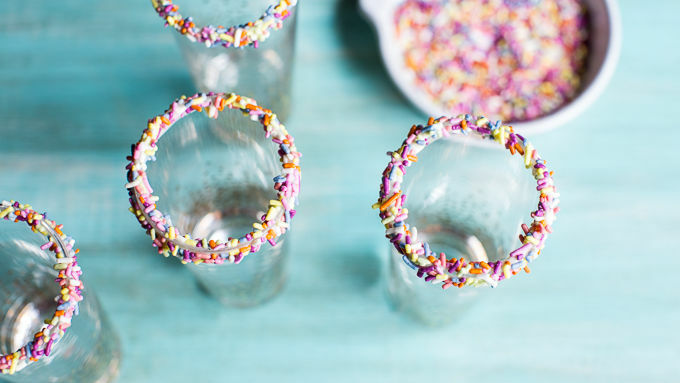 To rim the glass with sprinkles, dip each shot glass into melted white chocolate and then roll in sprinkles. Place in the freezer. In a blender, combine the ice cream, cotton candy, milk, vanilla and vodka (if using). Blend until smooth. Divide the milkshake among 6 shot glasses. Top each with cotton candy and drink immediately. Do not blend the cotton candy colors in the blender—it is not pretty! You can, however, layer 2 or 3 colored and already blended milkshakes in a glass. That is very fun! Could these milkshakes be any cuter? Or more fun? I know we’re all adults here, but you cannot deny there are some things about being a kid that you miss. Like being able to sleep in all summer long, or being able to eat cookie after cookie and not feel bad about it, or just being able to be carefree and not have a care in the world. Why not have a little fun and embrace the kid inside of us with some milkshakes? These are everything any kid would LOVE (minus the optional vodka, of course). If you have kids and make these milkshakes, not only will they love you for it, but I have a feeling all the neighborhood kids will love you too. 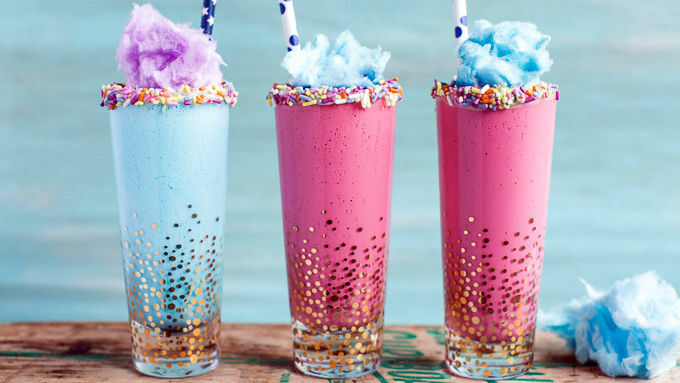 When making these, do not blend the cotton candy colors in the blender—it is not pretty! You can, however, layer 2 or 3 colored and already blended milkshakes in a glass. That is very fun! 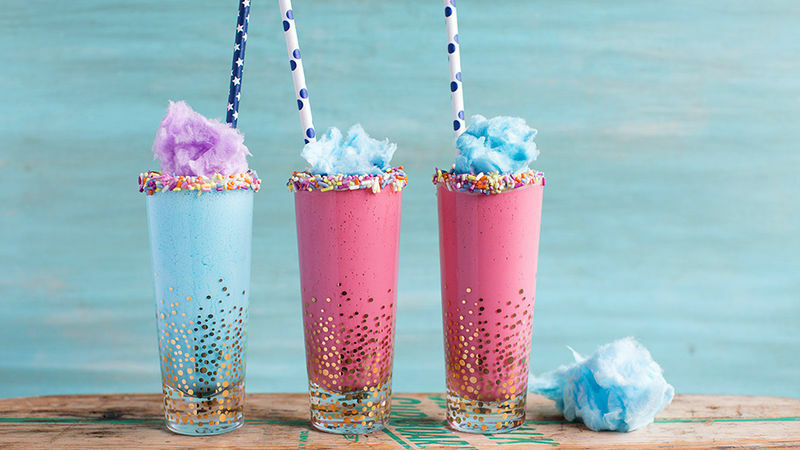 Cotton candy milkshake everyone will love, even adults! They’re delicious! Enjoy!